Himal B.K is a six-year-old boy from the province of Aacham in the west of Nepal. His father Jay Bahadur B.K is all he has left. Like many of NHEDF’s patients, Himal’s parents were poor and they were working in India as laborers. Home was a little wooden hut provided by their employee. Unfortunately, one night, an electrical short circuit set the house alight and everyone was killed except for Himal and Jay. Himal and Jay lost their mother/wife along with Jays brother, sister-in-law and their child. They were taken to hospital in India with dreadful burns. Jay had burns to both legs and Himal had terrible facial burns as well as burns to his arms and back. Medical care was not free in India and eventually they ran out of money so the hospital discharged them. They decided to return to Nepal and like many of NHEDF’s patients, they could not afford medical treatment. Thanks to financial support from their community they were admitted to a local hospital, but it had few facilities and only basic treatment for burns injuries. For two weeks the hospital did not charge them for the care they received and some of the hospital staff generously paid their medical bills. They were then discovered by a nurse who had volunteered for NHEDF after the earthquake and was doing her Bachelor in Nursing at the hospital where they had been admitted. She contacted NHEDF and arrangements were made for Himal and Jay to be brought to Kathmandu. They were admitted to NHEDF on April 12th. Since then Himal has had five surgeries and Jay has had two. We have felt that the photos of Himal when he arrived at NHEDF were too distressing to be shown and despite wonderful nursing care from NHEDF’s nurses, even recent photos are enough to make some people turn away. Jay’s skin grafts have taken and his wounds are well healed. Himal is a different story due to the extent of his burns. 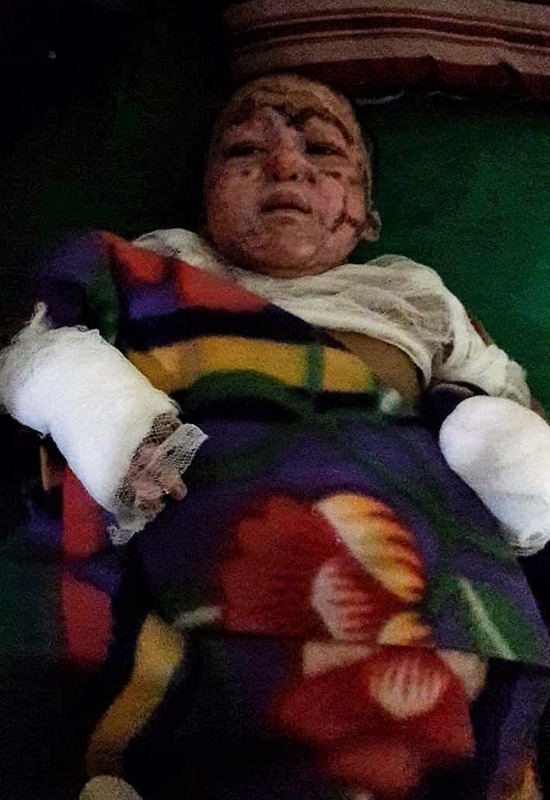 The road to rehabilitation for Himal will be very long and both may require long-term medical care to minimize their disabilities from burns contractures and help them deal with the trauma they experienced. If you would like to support Jay and Himal’s ongoing medical care, please contact us.